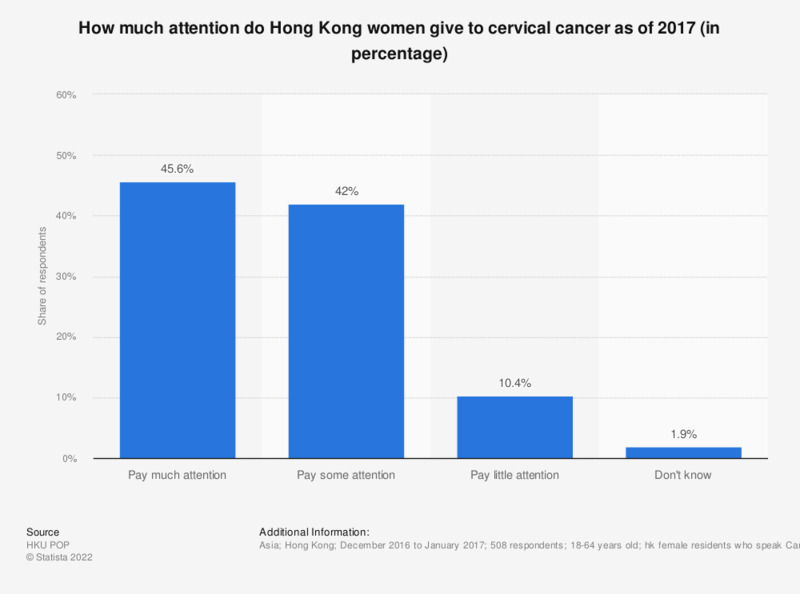 This statistic displays the female attention given to cervical cancer in Hong Kong as of 2017. According to a telephone interview conducted between December 2016 and January 2017, around 46 percent of the respondents said that they pay much attention to cervical cancer. Note: Respondents could choose only one answer.